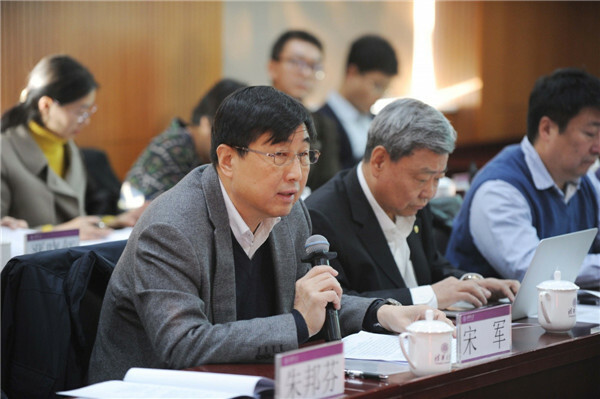 Salon on chief editors (presidents) of journal of China Association for Science and Technology (CAST) was held at Tsinghua University on Dec 11. The salon was organized by the academic department of CAST and Biophysical Society of China (BSC). Rao Zihe, honorary president of BSC, and Yan Shuai, vice president of China Editology Society of Science Periodicals (CESSP) hosted the salon. Some 30 personnel from Chinese Academy of Sciences (CAS), scientific and publishing institutions, including Song Jun, director at the secretariat of CAST attended the event. Song Jun said during his presentation that the quality and the number of the published papers have been increased but there still exist problems regarding academic misconduct. He stressed that establishing a system to supervise the publishing is of upmost necessity. 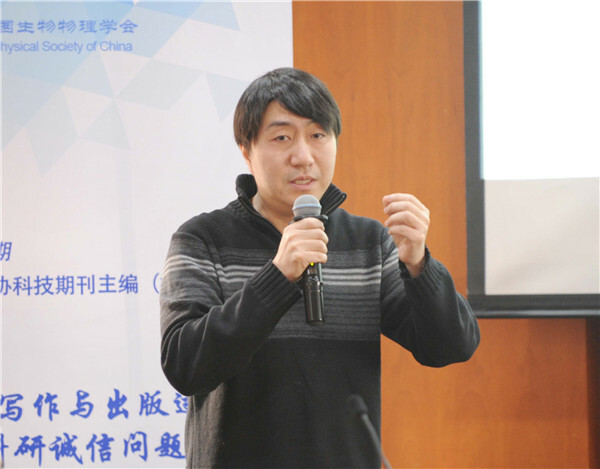 Zhu Bangfen, professor at Tsinghua University delivered a presentation titled “CAST to keep integrity and academic ethics in scientific research”. Bai Yuhong, executive chief editor at Light center of Changchun Institute of Optics, Fine Mechanics and Physics under CAS; Liu Chunming, director at the Institute of Crop Sciences of Chinese Academy of Agricultural Sciences; Wang Haoyi, professor at the Institute of Zoology under CAS; and other invited guests spoke at the salon. Attendees at the event agreed that scientific researchers and sci-tech publications should work together to advance civilization with technological development. CAST will continue to improve the evaluation system of academic achievements and promote the quality development during the journey of building the country as a science and technology power. Copyright © Biophysical Society of China. All rights reserved.